Whether you’re booting up snowy couloirs or making a quick glacier crossing, the Black Diamond Neve Pro Crampon cuts weight without sacrificing performance. 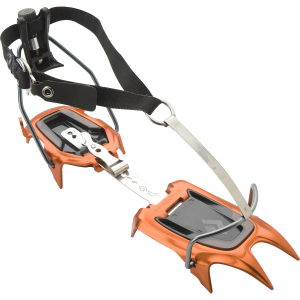 When steel crampons are too much, this 10-point crampon’s aluminum construction trims ounces, while its included ABS plates keep snow from balling underfoot. 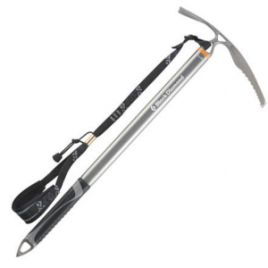 The Neve Pro also features a step-in front design for use with your ice, telemark, or AT boots.